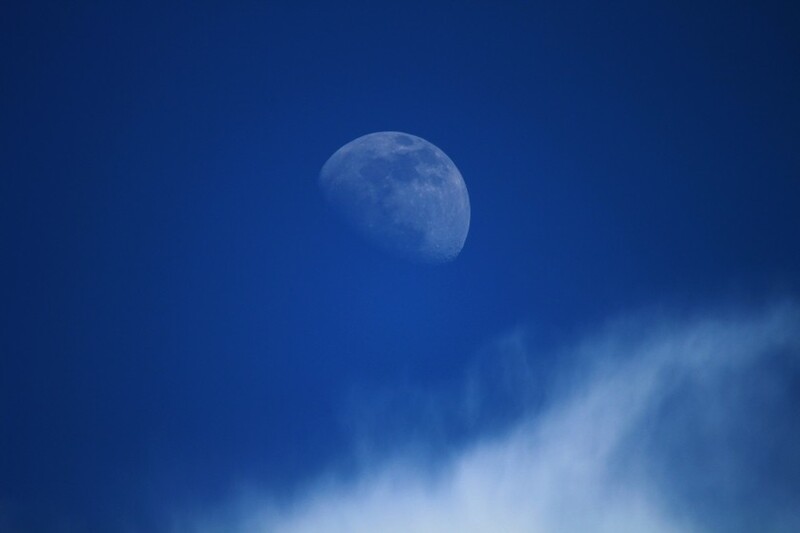 2013-06-18 While at the Sheep Lakes, the waxing gibbous moon was visible and some clouds started moving in front of it. I really like how the clouds are near to, but not covering, the moon in this shot. Rocky Mountain National Park, Colorado.